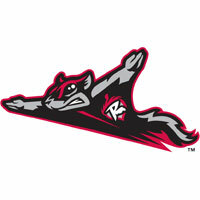 Left-hander Edwin Escobar turned in his finest performance in the Eastern League, leading the Richmond Flying Squirrels (50-58) to a 2-0 win over the Akron Aeros (53-55) on Sunday afternoon at Canal Park. The Squirrels salvaged a split of the four-game series as Escobar turned in 7 1/3 shutout innings for the win. The Squirrels grabbed an early lead with a first-inning run against Akron righty Paolo Espino. Joe Panik cracked a one-out single and Javier Herrera followed with a single that put runners at the corners. Andrew Susac struck out, but Brett Krill lined a single into center field to bring in Panik for a 1-0 lead. Espino and Escobar each settled in and found a groove. Escobar retired 11 batters in a row at one point. Espino did him two batters better, setting aside 13 straight to the seventh inning. However, Krill got him again as the Squirrels added a valuable run. Krill doubled off the right-field wall to open the seventh and was moved to third base on a ground out from Angel Villalona. Espino retired Adam Duvall, but Tyler LaTorre pushed a single through the hole on the left side of the infield for a 2-0 lead. Espino (2-5) lasted seven innings was saddled with the hard-luck loss. He conceded two earned runs on six hits. He walked none and struck out four. Escobar allowed just three hits, walked two and struck out a season-high nine. Right-hander Cody Hall recorded the final five outs in quick succession to preserve the ninth staff shutout of the season for the Squirrels. He earned his fourth save in the process. The Squirrels will return to Richmond to enjoy an off day on Monday. San Francisco Giants RHP Ryan Vogelsong is scheduled to make an MLB rehab start for the Squirrels as they open a three-game series with the Portland Sea Dogs (Boston Red Sox) at The Diamond on Tuesday night. First pitch is scheduled for 7:05 p.m. Tickets are available and can be purchased by calling (804) 359-3866 or by visiting either SquirrelsBaseball.com or the Squirrels ticket office at The Diamond.